Not quite a “consensus.” But, at least among this partly self-selecting group, not far off. No-one disagreed that recent changes in the Earth system have had real effects on the makeup of rock strata that are now in the process of formation. But as the results of the second vote show, it doesn’t necessarily follow that the Anthropocene should be “formalised”—i.e. added to the ICS’s official scale of geological time. Would science be better served by defining the Anthropocene precisely as a stratigraphic unit, or by resting content with the current informal usage? Might formalization be premature? The geological time scale is made up of a hierarchical series of intervals that are nested inside one another like reigns within a dynasty. An Anthropocene era would replace the current Cenozoic era, the 66 million years since the extinction of the terrestrial dinosaurs. An Anthropocene period would replace the 2.6 million year old Quaternary, but remain within the Cenozoic. An Anthropocene epoch, always the most widely discussed option, would terminate the 10,000 year old Holocene, the postglacial epoch of agriculture and cities. 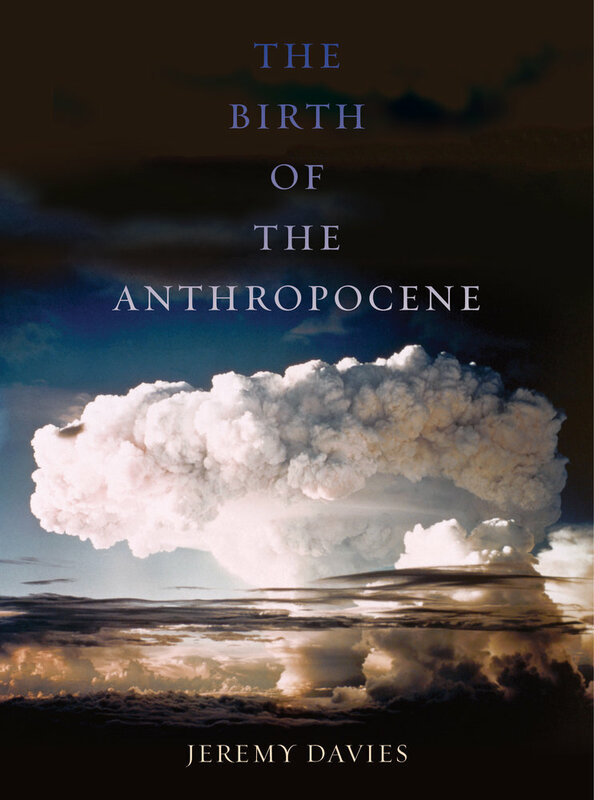 An Anthropocene age would subdivide the Holocene. “ka” means “thousands of years ago.” The ~7ka option represents William Ruddiman’s “Early Anthropocene” hypothesis. It’s possible that human influence on global CO2 levels has been detectable ever since then, but if so, back then human influence tended to keep CO2 levels constant, rather than to transform the geological makeup of the planet (as would be required for a new stratigraphic interval). The ~3ka option would reflect things like regional-scale formations of anthropogenic soils, as in this paper. “1610 Orbis” is a reference to this paper, which proposed dating the Anthropocene to the year of an apparent CO2 minimum that might (or might not) be attributable to reafforestation in the Americas after the Columbian invasion. The absence of support for a start date around 1800 is a striking outcome. Perhaps it might finally put to bed the fallacy that Anthropocene scientists are all wedded to the idea that significant human impacts on the planet began with the Industrial Revolution, narrowly defined. The near-consensus on a start date around 1950 reflects the working group’s longstanding emphasis on the “Great Acceleration,” the intense postwar boom in economic-ecological activity. It was then, most members of the group seem to agree, that the planet-wide forces governing the formation of rock strata moved decisively outside the range of Holocene variability. The 1964 option was proposed in the same paper as the 1610 option, and was based on a global peak in radiocarbon (carbon-14) caused by nuclear bomb test fallout. Stratigraphers usually fix their boundaries at the beginnings rather than the peaks of such “excursions,” however. That vote represents a significant turnaround from this paper, in which many working group members signed on to a proposal to define the Anthropocene by a GSSA. Sceptics pointed out in reply that current standard practice is to base as many intervals as possible on the tangible foundations of a GSSP. It seems that now the Anthropocene is heading that way too. If you want to have a golden spike, you need to have something to look for in the geological record. The top two candidates, radiocarbon and plutonium anomalies, are both the result of nuclear test fallout. It’s notable that fuel ash only picked up two votes: that had seemed the strongest alternative candidate. Carbon dioxide concentration was the measure proposed in Paul Crutzen’s earliest papers on the Anthropocene. I’m stuck by the absence of support for a biostratigraphic approach. This vote tends to suggest that the base of the Anthropocene epoch could yet end up being dated to 1952, and being associated with the beginning of planet-wide radionuclide fallout caused by thermonuclear weapons tests. The first H-bomb test shot, Ivy Mike, is pictured at the top of this page. I wrote about the events of the day Mike was detonated here. For a few hours last Monday, the formal administration of stratigraphic time divisions was the headline story on the Guardian website. With a section in hand, a detailed formal proposal for the new epoch must be prepared (here’s the equivalent for the Holocene epoch). That proposal must be approved by a 60% supermajority of the ICS Subcommission on Quaternary Stratigraphy, then by a supermajority of the ICS executives and chairs of subcommissions, then finally by a majority of the Executive Committee of the International Union of Geological Sciences. Only after that could the time charts be redrawn. Should ICS decide against the Anthropocene, some stratigraphers fear, they could be swamped with bad press. “I feel like a lighthouse with a huge tsunami wave coming at it,” [Stanley] Finney says. Phil Gibbard, a stratigrapher at the University of Cambridge in the United Kingdom and a working group member who voted against the proposal, also worries about a backlash. “We’re nervous,” he says. The next International Geological Congress will take place in Delhi in March 2020.